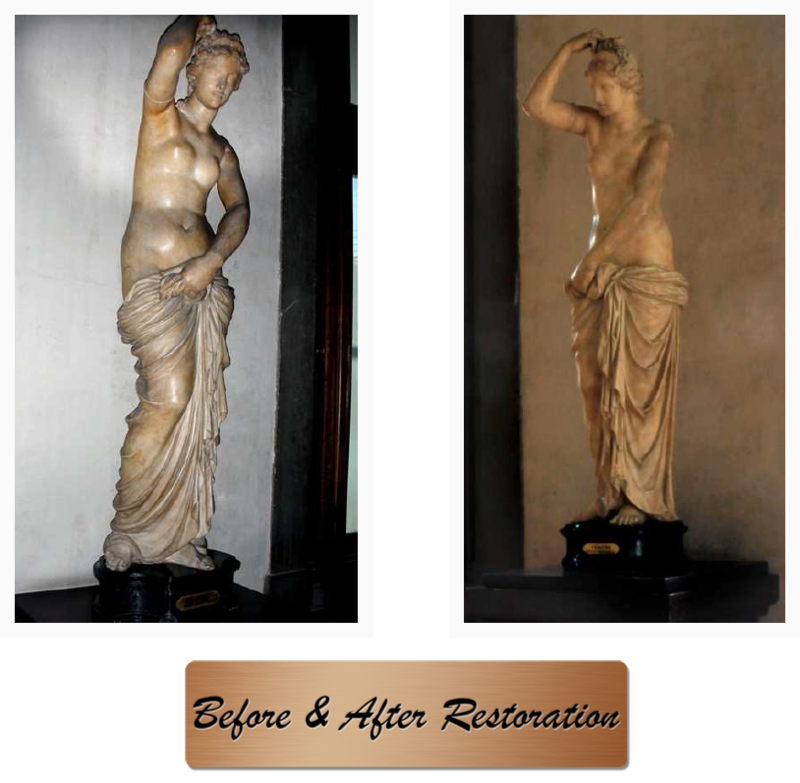 The statue is one of the most celebrated depictions of the Greek goddess Aphrodite belonging to the Medici collections. 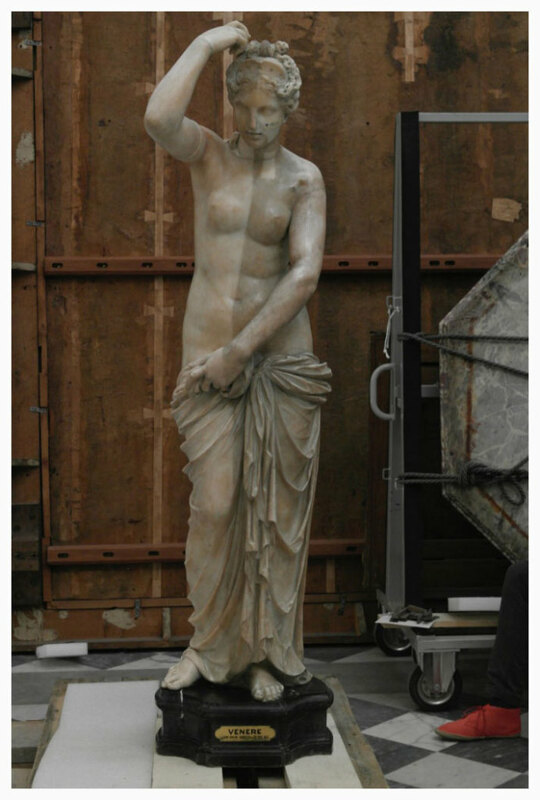 Its renown is proved by the sculpture being documented in the Tribune where, from the end of the XVII century, it was admired next to the Medici Venus. 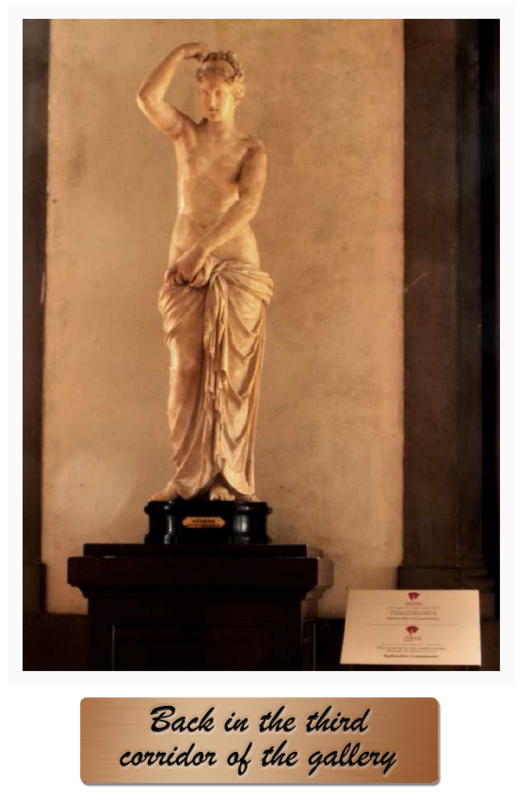 The sculpture, acquired by the Medici in 1658 from the Palmieri family of Bologna, is remarkable not only for the superior quality of the antique part (head and torso), but also for the importance of the sculptor – Alessandro Algardi – that in the XVII century was commissioned for the additions. To Algardi, foremost representative of the Italian classicist sculpting of the period and with several papal commissions in Rome among his oeuvre, we owe both arms and the lower part with the rich drapery. 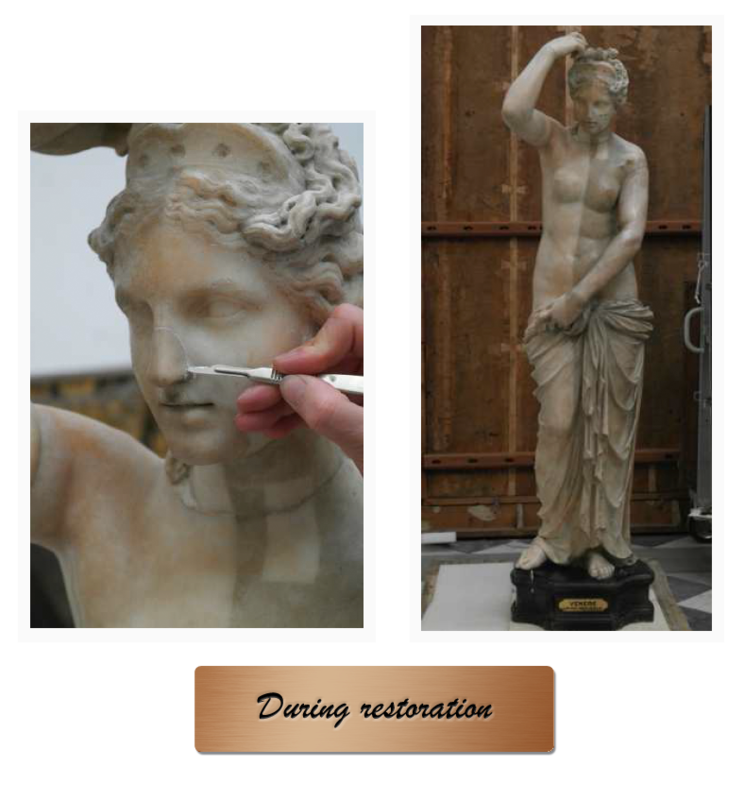 The statue, smaller than life-size, had been dulled for many years by thick layers of dust that completely covered the marble surface hiding its quality and the delicate workmanship. 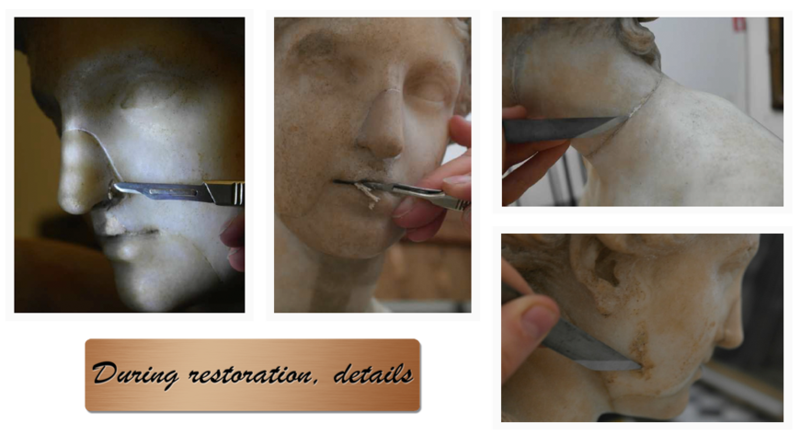 The restoration restituted splendor to the precious Parian marble of the torso, and the deteriorated repair putty were systematically reviewed. 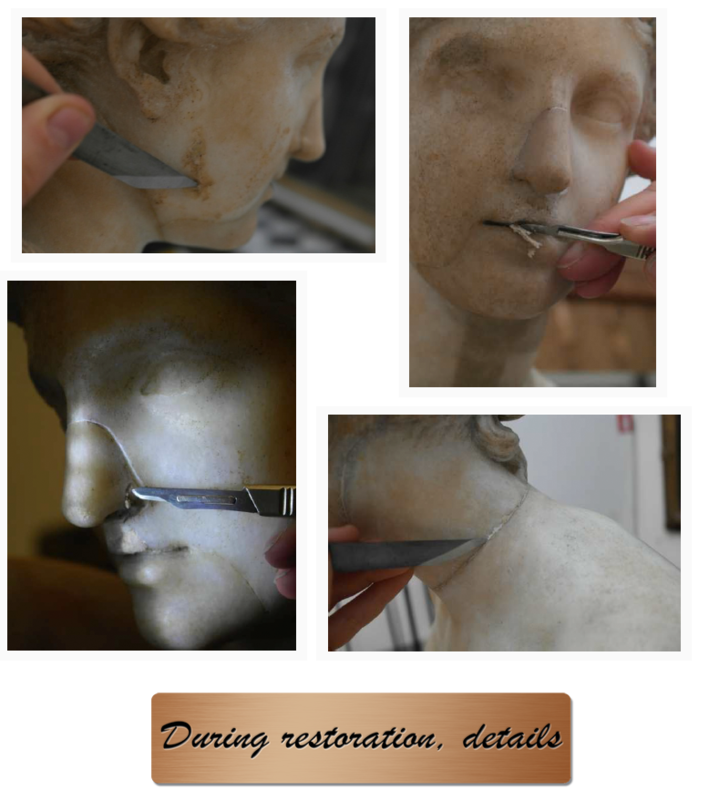 Extensive analyses were carried out, including the sampling of a few marble fragments of the torso and the base of the neck for petrographic testing, in order to confirm the antiquity and pertinence of the head. parts and integrations, and for thorough photographic documentation.